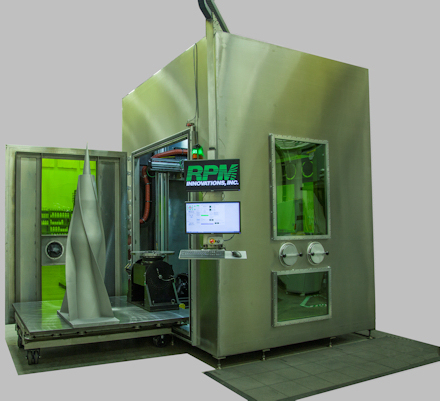 RPM Innovations Inc. (RPMI) specializes in “powder fed” Laser Deposition Technology (LDT) which includes Laser Freeform Manufacturing Technology (LFMT), Laser Repair Technology (LRT) and Laser Cladding Technology (LCT). RPMI provides Application Development, Manufacturing, and Repair Solutions for its customers. 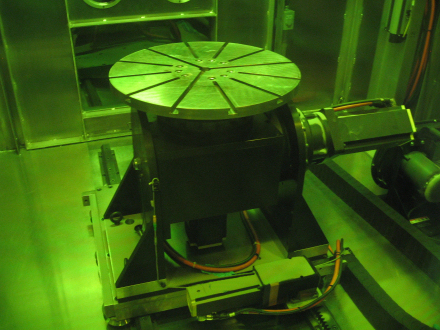 We also manufacture a complete line of LDT Systems which include a Model 222, a Model 535 and a Model 557 (5’ x-axis by 5’ y-axis by 7’ z-axis) which employ Fiber Lasers up to 4KW. 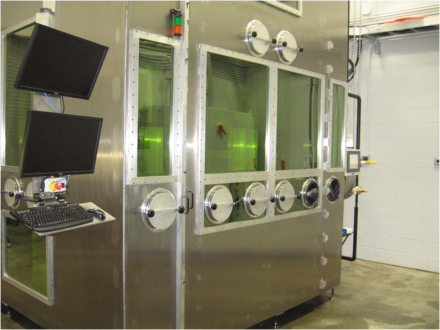 In addition to the laser systems, there are a number of supporting systems and capabilities that are part of the system, some of which are optionally configured based on the type of part being manufactured or repaired.